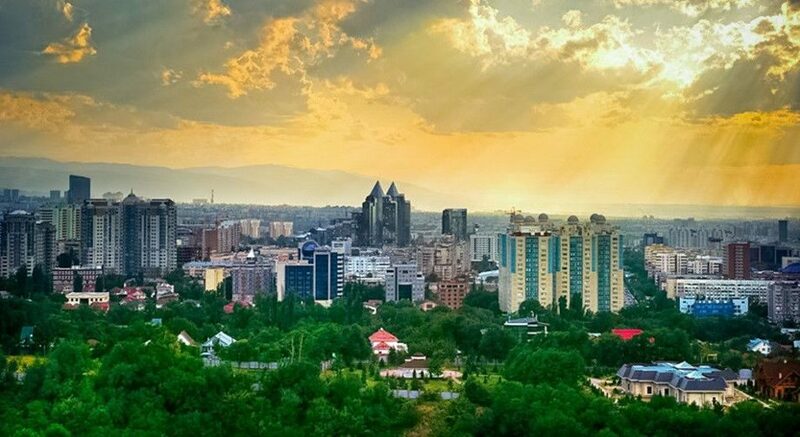 Kyrgyzstan is one of the most picturesque places in Central Asia, more than two-thirds of its territory is occupied by mountains, which is manifested in the diversity of climate, natural landscapes, flora and fauna. 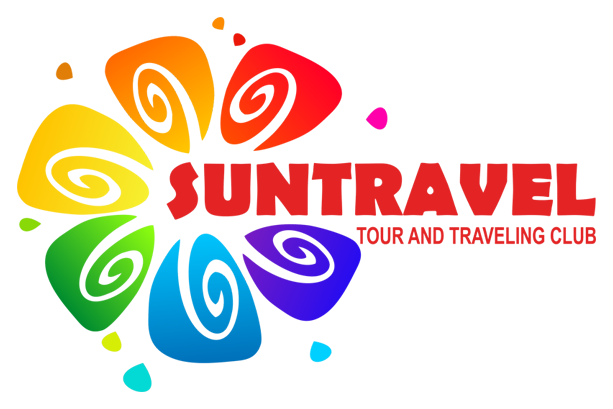 Having been here, you will discover the country of snow-capped mountains, enjoy the view of the harsh peaks of the Tien Shan, bathed in the sun. Wildlife with majestic waterfalls and wild mountain rivers flowing into the lake with crystal clear water will amaze you with its beauty. The pearl of Kyrgyzstan-lake Issyk-Kul, unfrozen all year round, will shake your imagination. Many amazing places and monuments of ancient civilizations have been preserved in Kyrgyzstan; the sacred mountain Suleiman ("Solomon") in Osh, the largest on the planet relict walnut forests Arslan Baba, hot springs with thermal waters in Jalalabat, caravanserai Tash Rabat, Burana tower, the world's largest clusters of rock paintings saymaluu Tash. The Republic is located in the center of the Eurasian continent, at the intersection of air traffic between East and West, North and South. In the zone of 4-hour flight from the airport "Manas" are located cities: Moscow (Russia), Beijing (China), Istanbul (Turkey), Delhi (India). Location: northeast of Central Asia. Coordinates: 41° 00 North latitude, 75° 00 East longitude. Area: 198.5 sq. km. 94% of the country is mountainous. The average height is 2750 m above sea level. Population: Kyrgyz-58%, Russian-18%, Uzbeks - 16%, Kazakhs, Tajiks, Uighurs and other nationalities - 8%. Language: Kyrgyz-state, Russian - official and main language. Religion: Islam-75%, Orthodoxy-20%, other religions-5%. Time: by Griving + 5 hours. National currency: Som (100 tyiyn) against the dollar of$ 1 = 60 soms. 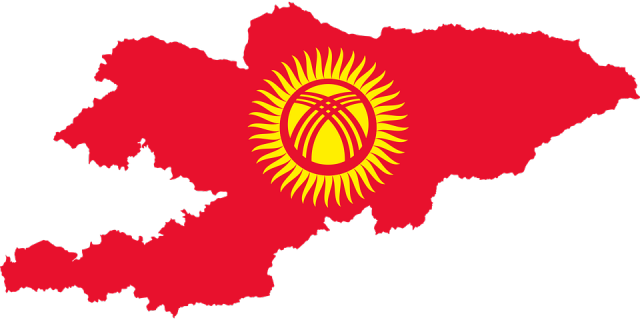 The Kyrgyz Republic is located in the North-East of Central Asia, occupying part of the Tien Shan and the Northern chains of the Pamir-Altai. The borders pass basically on natural boundaries - crests of high mountain ranges and rivers, only by places they fall on plains of Chuy, Talas and Fergana valleys. Kyrgyzstan borders: in the North - with Kazakhstan, in the West and North-West - with Uzbekistan, in the South-West - with Tajikistan and in the South and South-East - with China (the length of the border 1049 km). 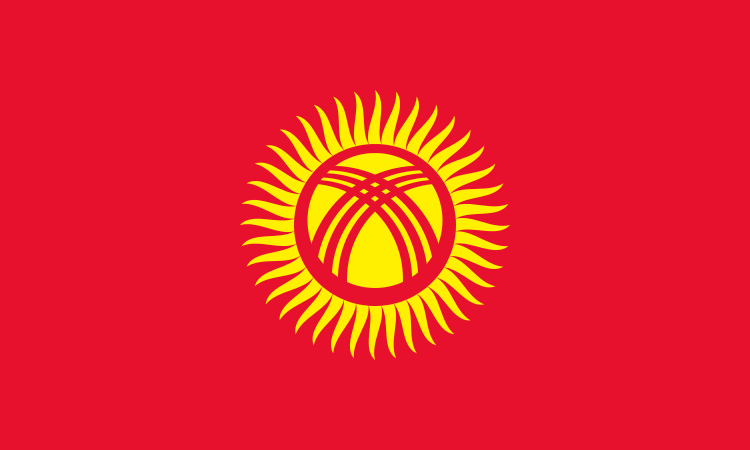 The total length of borders of Kyrgyzstan - 4503 km Republic square - 198,5 km2. 94% of the country is mountainous. The average height is 2750 m above sea level. The territory of the Kyrgyz Republic extends from West to East for 900 km, from North to South for 410 km and lies approximately between 39° and 43° North latitude. The highest part of the territory of the Republic is located on its Eastern outskirts. Here, in the mountain junction, border with China, towering highest point of the whole Tien Shan mountain system-Victory peak (7439 m) and Khan Tengri (6995 m). From here, the fan-shaped ridges diverge to the West and South-West, creating separate parallel chains, extending mainly in the latitudinal direction up to 300-400 km. At the southern border of the Republic with Tajikistan stands out the highest Chon-Alai (Zaalai) ridge, where the second highest peak of Kyrgyzstan-Lenin peak (7134 m). The complex structure of the mountainous terrain and the diversity of environmental conditions caused a great variety of soil and vegetation cover and wildlife of Kyrgyzstan. On its territory there are deserts, steppes, meadows, forests, bushes, swamps, mountain tundra and other types of vegetation. The Kyrgyz Republic has a huge reserve of water resources. 7 the largest river basins is more than 28000 rivers and sources, 90% of which have a length of 10 km. Among them, there are rivers with high water level. For example, the Naryn river is more than 500 kilometers long. There are more than 2000 lakes and artificial reservoirs in the Republic of Kyrgyzstan. Lakes occupy 3.4% of the territory. About 90% of them are high-mountain dams and closed lakes. Sary Chelek is located on the South-Western slope of the Chatkal ridge, at an altitude of 1873.9 m above sea level, and is a biosphere reserve. The mountainous lake Issyk-Kul is located inside the Tien Shan mountains, at the bottom of a huge tectonic depression, at an altitude of 1606.7 m above sea level. The lake is surrounded by the mountains Teskey-Ala-Too in the South and Kungei Ala-Too in the North, lake Issyk-Kul differs from other lakes in geographical, climatic and hydrological conditions. The shape of the lake resembles a trapezoid, facing the base to the North. According to recent studies, the length of the lake is 178 km, width-60.1 km; area-6236 km2, coastline - 688 km, maximum depth-669 m, average depth-278.4 m. the Lake is incredibly beautiful. For this reason, it is called the "Pearl of Kyrgyzstan". Great transparency and bright sun change the color of the water of lake Issyk-Kul from soft blue to dark blue tones. In winter, the water temperature is + 4,2°C +5,0°C. in July and August, the upper layers of water are heated to +18°C +24°C. Kyrgyzstan is one of the largest regions, which is a system of modern mountain glaciers, their total area is 8100 km2 or 4.2% of the territory of the Republic. 3/4 of the total glacier area belongs to the river basin of the rivers Syr Darya and the Tarim basin, their main centers are located in the far West, in the basin of the Sary-Jaz, where the biggest valley glaciers (southern Enelchek, by the length of 60.5 km, Kaindy - 29,0 km) and the mountains of the Teskey Ala-Too, Casual-Too, AK-Siryk, Chon-Alai. In the Tien Shan mountains there are glaciers with flat tops. The reserves of fresh water are approximately 650 billion m3, which is equal to 12 river resources of the whole Republic. 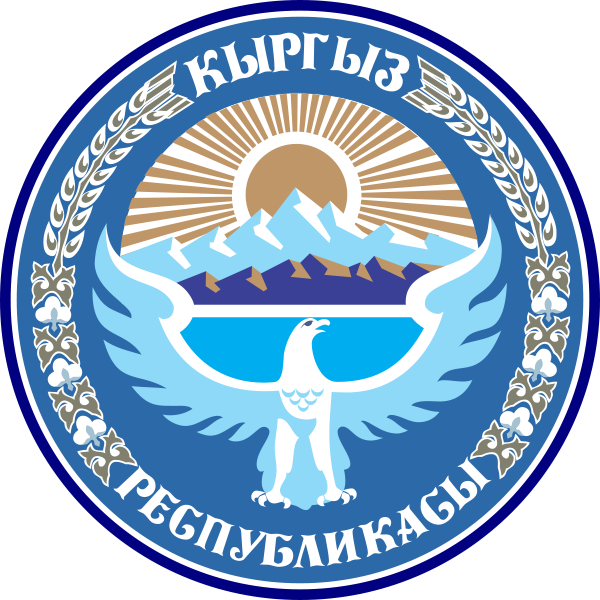 Main cities: Bishkek-capital of the Kyrgyz Republic (about 900 000 inhabitants); Osh - West of Kyrgyzstan (about 300 000 inhabitants), Karakol - Issyk-Kul region (about 64 000 inhabitants). The regional centers are also the cities of Naryn, Talas, Jalal-Abad, Batken. Climate: the Climate is sharply continental, only in the Issyk-Kul basin it is close to the sea. The average January temperature is + 4oC -14 ° C, average July temperature is 17 ° C with +38оС. Currency: Kyrgyz som. One som consists of 100 tyins. Put into circulation may 10, 1993. At the moment, the som is represented by ten denominations of banknotes: 1, 5, 10, 20, 50, 100, 200, 500, 1000 and 5000. Kyrgyzstan is the first CIS country to adopt its own currency. Approved on 3 March 1992 by the Supreme Council of the Republic. Authors: E. Aidarbekov, B. Jaichybekov, S. Iptarov, J. Mataev, M. Sydykov. 40 rays, United in a circle, mean the Union of 40 ancient tribes in a single Kyrgyzstan. The tunduk symbolizes the unity of the peoples living in the country. The red color of the flag was the color of the flag of generous Manas. Approved on January 14, 1994 by the decision of the Jogorku Kenesh Authors: A. Abdraev, S. Dubanaev. The coat of arms depicts Manas Gyrfalcon with outstretched wings, which symbolizes the freedom of the country. Also depicted is the pearl of Kyrgyzstan-Issyk-Kul lake, surrounded by high rocky ridges of Ala-Too. The mountain tops, illuminated by the sun, are similar to the white Kalpak of the Kyrgyz people.